Carryings On Up The Dale: Evening the odds...well a little bit. Not much really. Evening the odds...well a little bit. Not much really. 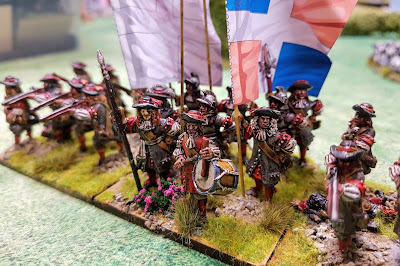 This weekend I've been finishing off a few more bits and pieces for my 'Het Rampjar', the French-Dutch War 1672-78, collection. 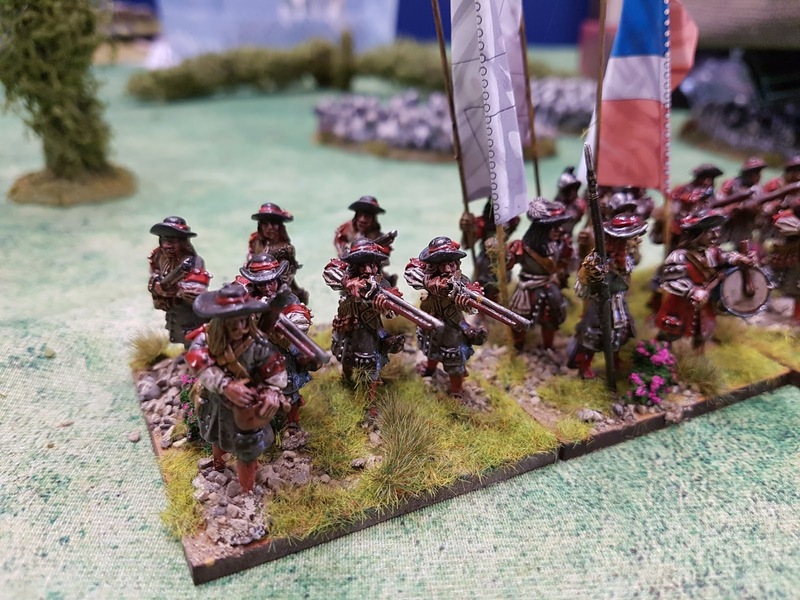 In an attempt to balance the appearance of four allied Germans regiments for the Dutch earlier in the week I finished basing this French unit, the Regiment Conde. I could hardly have an army led by the great man himself without his own regiment being present. Below is a really yucky yellow regiment of Hanoverian or Celle (ist?) 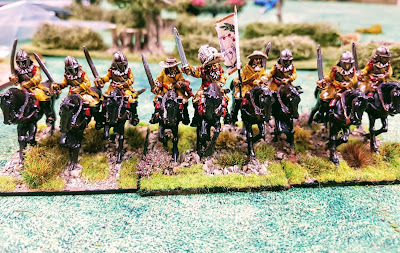 cuirassiers. I forget which but I had them in the box and now they're in barracks (a different box) waiting for their baptism of fire. The annoying thing about Copplestone's Glory of the Sun range is the separate scabbards and carbines. Actually thats not the annoying bit. It's loosing them God knows where, as they went INTO the box with them but in the passing of time they have vanished! Grrr. 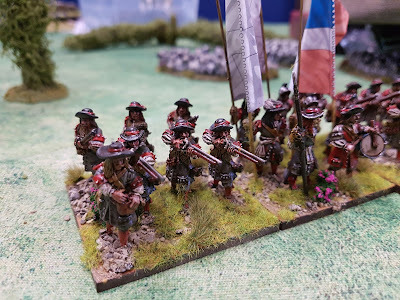 I now just have half a dozen limbers and teams, four or is it six cannon of various sizes, the crews, several wagons plus tabletop ephemera to finish, and I am well on with the cannon, gunners and limbers. There's also enough figures for another regiment of French horse if I want plus another battalion of as yet unallocated infantry. This evening I also noticed I was out of tufts. Quelle horreur! Grand looking Frenchmen! I like the touch of adding a grenadier to the stand. Yep, a nice touch re: the Grenadier. Looking forward to using the figures Colin. Hope you have no aspiration that I can make new figures hang around though! Thansk Paul. I am looking forward to the game. I will let you command some older regiments just in case. Fine looking troops, it's as well North Star have lost interest in the range or it could be curtains for my resolve. Good job here too otherwise I would buy a few more regiments. For example I currently have LOTS of 75% completed stuff on my work station. By the weekend it will all be finished, by which time more stuff will have been started. I can’t paint for more than 20-30 minutes but I can manage maybe four or five sessions a day.